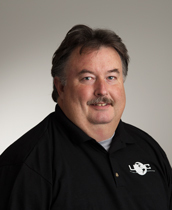 Richard Kilby, a native of Johnson City has an extensive background in heat pump repair and installation. He previously worked for United Services out of the Tri Cities as well as a 217 unit community for Real Source Property Management. He was able to expand and cultivate his skills in appliance repair, electrical, and plumbing while here. Richard joined the team at Universal Development and Construction in November 2015.